Thank you for entering. The contest is now over. Congratulations to our rocking winner! Fathom's June Free Trip Bonanza continues with a bang. 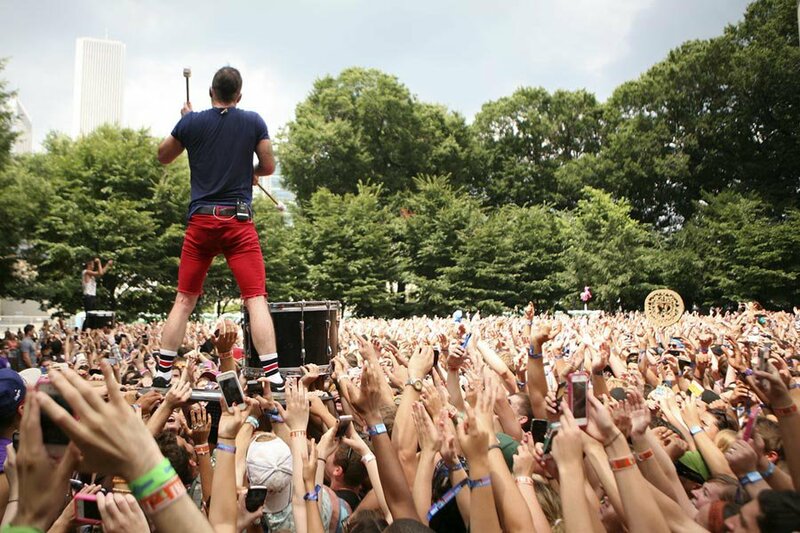 We're sending two people to Lollapalooza 2014 in Chicago to Party Like a Rock Star. The bands. The festival. The all-nighters. We can smell the hangover already. THE FESTIVAL: The winner will receive two VIP passes to Lollapalooza, on August 1-3, 2014. The killer lineup includes Outkast, Lorde, Arctic Monkeys, Lykke Li, and nearly 100 more bands. Not to mention the Farmer's Market, Lolla Cares, and Kidzapalooza. THE AIRFARE: Two economy class airline tickets from anywhere in the continental United States to Chicago. THE HOTEL: Three nights at the gorgeous, landmarked Palmer House Hilton near Grant Park. The total value of the trip is $4,800. It's so easy. Contest runs from June 2 - July 7, 2014. High five to our excellent partners: Blood, Sweat & Cheers, Time Out, Vice, and Noisey.